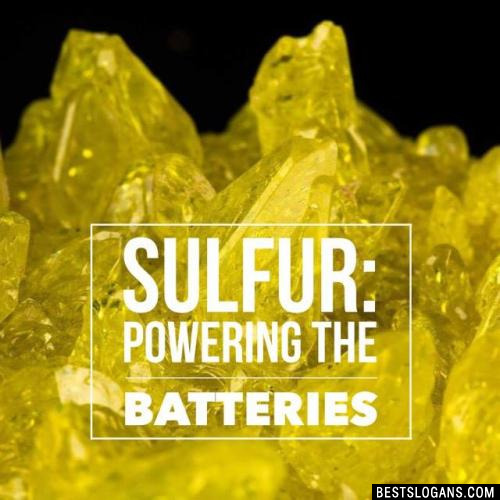 Sulfur (S) is a bright yellow non-metallic element with an atomic number of sixteen. It is a naturally occurring element, but can also be extracted from common minerals. 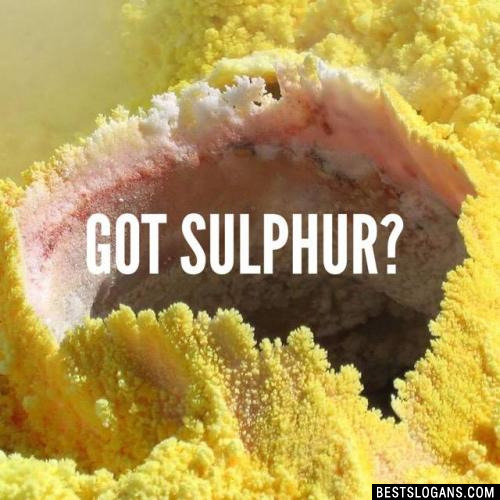 Here are a few interesting facts you may not know about sulfur. 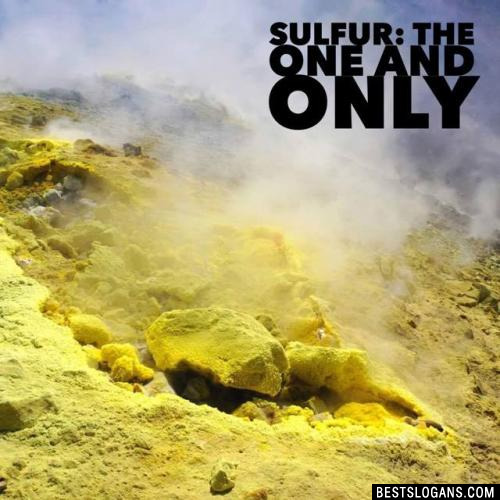 Sulfur has been in use since ancient times and is mentioned in the Bible and the Torah. 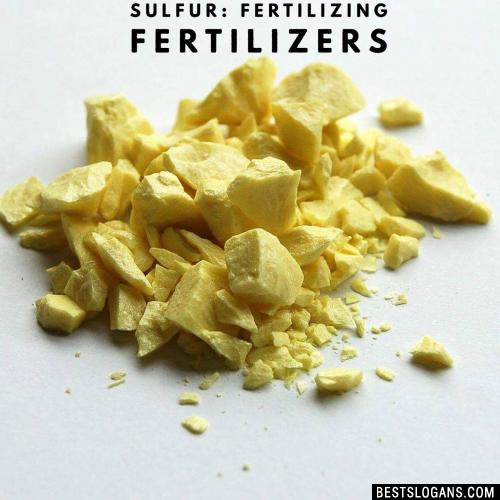 Sulfur can serve as either an oxidant or as a reducing agent. 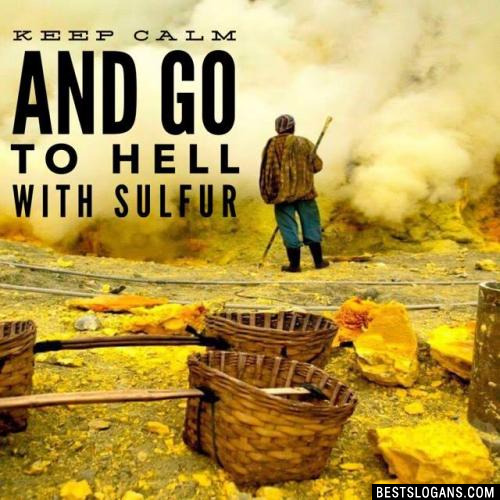 Sulfur is thought to be the seventh most common element in the human body. 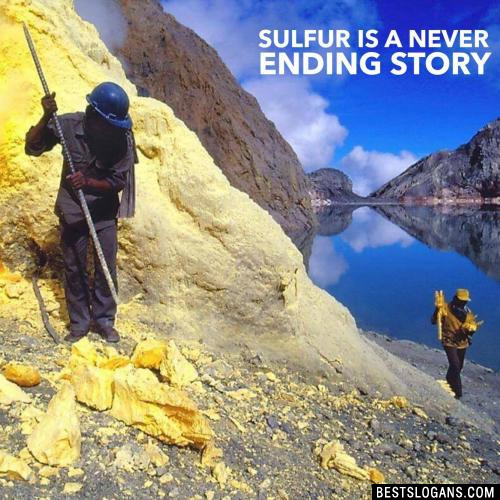 Sulfur is non-toxic, but its compounds sulfurous acid and sulfuric acid are found in acid rain. In its form hydrogen sulfide, however, it can cause death through respiratory failure. 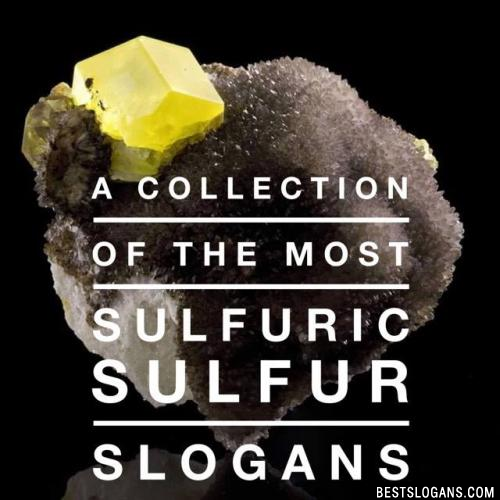 Can you think of a good Sulfur Slogans we're missing? Or come up with a clever one of your own. Please share below.